At the April 5, 2016 meeting of the Municipal Services Committee, staff presented an update on the storm study including implementation schedule, cost/benefit review, and analysis of funding options. There was Committee consensus that something should be done to address flooding in the separate system. There was also consensus that Alternative 1, building a relief storm sewer system ($77 million), is the preferred alternative because the storm segments can be built over a long period of time. The Committee discussed mechanisms for paying for the project including establishing a special service area (SSA) or Village-wide stormwater utility tax. Discussions will continue during the capital improvement program (CIP) and /or budget meetings. On September 24, 2015, Village staff and engineers from Christopher B. Burke Engineering Ltd. (CBBEL) hosted an Open House to discuss your sewer system concerns. The Power Point Presentation can be viewed here. Detailed schedule and implementation plan. Detailed financial analysis on how to pay for the project, including a preliminary investigation of possible stormwater utility fee. Additional analysis of costs vs. benefits. Additional review of performance expectations. Although a decision was not made, Options 1 and 2.2 were identified as the best alternatives should the Village elect to move forward with a project. Option 1 is building a Relief Sewer System (estimated cost of $75 million) and Option 2.2 is Surface Storage at Community Playfield (estimated cost of $53 million.) Please note that both projects are still very preliminary and there are many details that have to be addressed before the Committee and Village Board have the information they need to make a decision. Given the magnitude of this infrastructure investment, significant construction impacts, and overall impact to the Village, there will be additional public meetings and opportunities for public input moving forward. The next meeting of the Municipal Services Committee to discuss stormwater has not yet been scheduled. 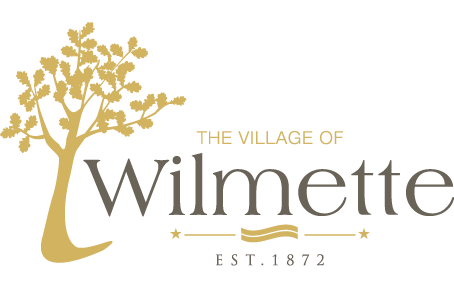 If you have questions, please feel free to contact Brigitte Berger, Director of Engineering & Public Works at bergerb@wilmette.com or at 847.853.7627 at your convenience.